We love catering weddings. From the first interactions with the bride and groom to saying our farewells after the event, the excitement of being part of their big day is something we all look forward to. 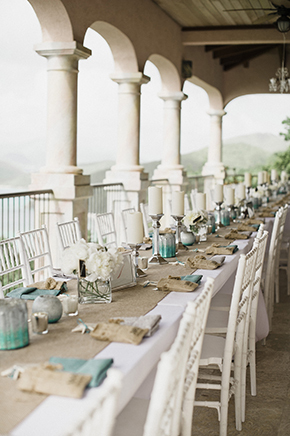 With our wedding planning friends here on island, we work together to combine the best food and drinks with the perfect island decor and settings to put together many magical evenings. 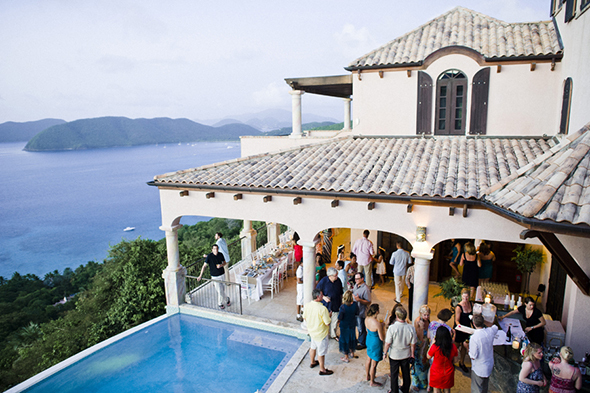 A few months ago, we had an event at the beautiful Villa Carlotta in Upper Peter Bay where we served a beautiful group of people who had just come from the wedding ceremony at Trunk Bay of bride and groom, Margarita and Mark. 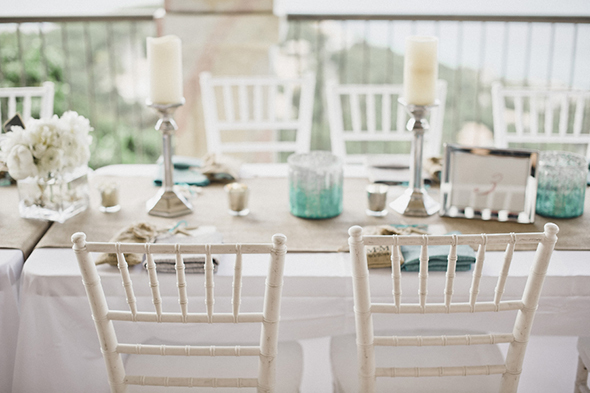 The table was gorgeous–one long table with Chiavari chairs (available for rent) and was adorned with decorations by wedding planner Mary Bartolucci. The couple chose to have a fully stocked bar and bartender, as well as staff that served passed appetizers to the party. For dinner, they opted for a formal sit down dinner and dessert, all included in the Maho Bay Package. We had a seamless event and were happy to be in the writeup on the event featured on the Jet Fete Blog. Check out the beautiful pictures by photographer Elisha Orin and take some notes for your big day! This entry was posted in Events and tagged bartender, catering, chair rental, Chiavari chairs, maho bay, Mathayom Private Chefs, rentals, st. john, St. John Catering, Table decor, table rental, views, villa, Virgin Islands, wedding. Bookmark the permalink.